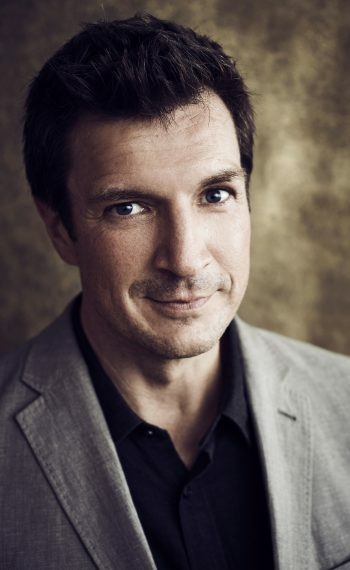 The Rookie star Nathan Fillion. The Rookie costars Nathan Fillion and Afton Williamson are one fun duo. Afton Williamson and Nathan Fillion from The Rookie get silly. Fresh Off the Boat's Randall Park shares a smile. Single Parents' Leighton Meester strikes a pose. Taran Killam stars in Single Parents. Jake Choi, Kimrie Lewis, Leighton Meester, Taran Killam, and Brad Garrett from Single Parents. Speechless stars Cedric Yarbrough and John Ross Bowie. A Million Little Things star Ron Livingston. A Million Little Things star Grace Park. Stephanie Szostak and Christina Moses from A Million Little Things. A Million Little Things stars Allison Miller and James Roday. A Million Little Things stars Romany Malco and David Giuntoli exercise trust. Christina Ochoa from A Million Little Things. The Kids Are Alright stars Michael Cudlitz and Mary McCormack huddle together for a photo. As the Television Critics Association 2018 summer press tour rages on, stars of TV's biggest shows are stopping by the TV Guide Magazine and TV Insider photo suite. From The Rookie to A Million Little Things, the gallery above features the stars of ABC's fall shows. Click through the images above to see Nathan Fillion, Grace Park, the casts of Single Parents, Speechless, and more.